Are you the proud owner of a luxury timepiece you would like to keep safe? If so, you are likely well aware that these watches can be quite delicate and should be handled with care. Now you can travel with peace of mind knowing that your watch is fully protected thanks to our cushioned watch case! Designed to hold, store and protect any watch that is up to 50mm wide, this single watch travel case is key to traveling with your favorite accessories without needing to worry about breakage or damage. Why choose our watch case for travel? It is compatible with any watch that measures up to 50mm, including Smart Watches. The outer layer is constructed out of ultra-durable 1680 denier Ballistic Nylon. The interior has been lined with a plush, non-abrasive material. The quality easy-pull zipper has been placed in just the right spot to prevent scratching. The thick inner walls provide great crush resistance. It makes a wonderful gift idea for anyone who loves watches! Go ahead - Click 'ADD TO CART' to order your own watch travel case today! IMPROVED DESIGN: Includes 2 removable foam inserts that provide extra protection and a perfect fit for any size watch. No need to buy 3 different size cases for all your different watches, smartwatches and fitness trackers, this case does it all. CUSHIONED INTERIOR: Soft interior material to protect your watch, makes this case safe for your cherished timepieces. made by Apple, Seiko, Rolex, Omega, Fitbit, Citizen, Tissot, Timex, TAG, Briteling, and many more. 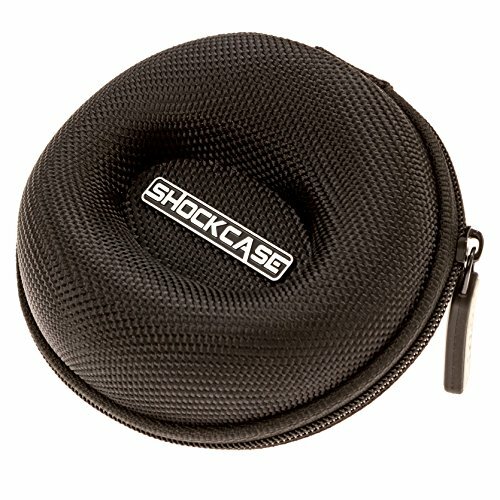 If you have any questions about this product by SHOCK CASE, contact us by completing and submitting the form below. If you are looking for a specif part number, please include it with your message.